In its most recent industry report, the United Egg Producers in the United States reported that the average American eats approximately 246 eggs per year. Raising chickens for their eggs is one of the most popular reasons people start raising backyard chickens. For the happiest, healthiest hens who lay the most eggs, you’ll need to provide them with a nutrient-rich, layer-specific diet. In this guide, you’ll find out some of the basic nutritional requirements and feeding tips to keep your egg layers productive. When shopping for chicken feed, choose a high-protein feed that’s been labeled for use on egg layers. Other chicken feeds, such as those labeled for broilers (i.e., meat birds), will not contain a sufficient ratio of ingredients to encourage high egg production. Chicken feed intended for feeding to egg layers typically comes in mixed grain form, or as processed pellets or crumbles. The former is typically cheaper. However, the latter two — pellets and crumbles — are generally worth the higher price. Because pellets and crumbles have had their ingredients processed together, your layer hens can’t pick out their favorite ingredients the way they can with a mixed grain feed product (yes, chickens do have preferences!). This ensures that each hen continues to receive the same balanced diet. Scratch: Chicken scratch is the common term for random mixed grains, such as corn and wheat. It serves as a cheap way to supplement your hens’ diet because chicken scratch is cheaper than formulated egg layer rations. 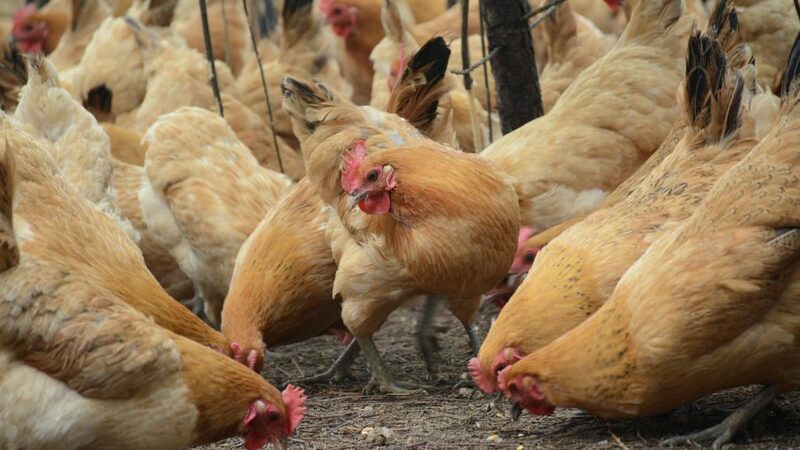 However, don’t feed your hens too much scratch — limit it to 10 percent of your backyard chickens’ diet — as too much grain supplementation can throw their diet off balance and affect egg production. Grit: Your backyard chickens need grit to help grind up their feed. This is especially important if you’re feeding them whole grains. Provide a hopper full of chicken grit so your hens can access the grit whenever they need to. Water: Your backyard hens need access to clean, fresh water at all times. When a chicken becomes dehydrated, reduced egg production is one of the first things that happens. After investing in a large bag of layer feed, don’t let your investment go to waste by storing the chicken feed improperly. To keep the food from going musty, keep it in a cool, dry location that’s off of the ground. Don’t forget that your backyard chickens aren’t the only ones who find chicken feed tasty. Protect the feed from bugs, mice and rats by keeping it in a sealed, rodent-proof container. Chicken farts smell like old diaper poo poo.